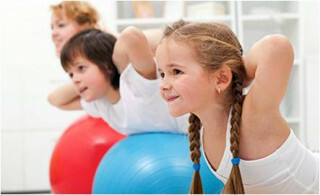 healthpro Active Kids is a health and fitness course designed to foster an affinity for physical activity and healthy eating in the young. Courses comprise carefully structured exercise programmes focused on the development of aerobic fitness, muscle strength and flexibility, and improvements to important functional skills such as agility, balance and coordination. Exercise components are combined with a series of interactive nutrition segments in which participants explore the major food groups and their role in healthy eating for an active youth. Courses are delivered as weekly Friday, 1 hour classes over a 8 week period by healthpro’s registered exercise trainers and dietitians, with an emphasis on creating a fun and inclusive environment that encourages participation and teamwork.